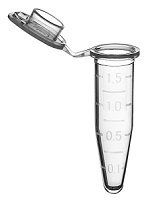 The microcentrifuge tube, often referred to as the Eppendorf Tube, is essential to any lab that handles small volumes of liquid. 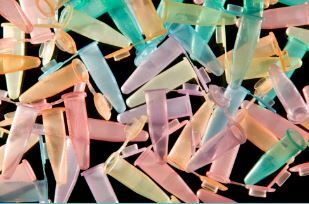 In life science and biological labs, these little plastic tubes are used for all sorts of applications from sample storage to running reactions and spinning down or separating samples. Whatever experiments you are conducting, if you work with small volumes of 2 mL or less you will likely need these tubes in your lab. 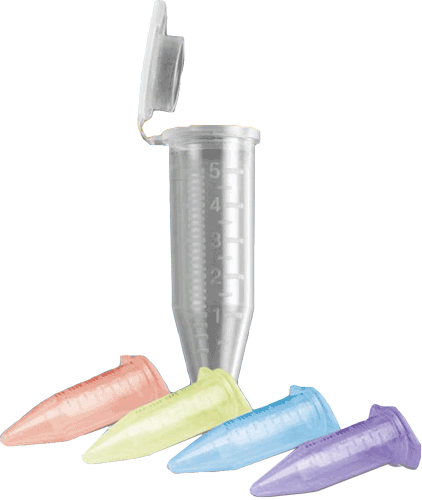 All microcentrifuge tubes are compatible with any of the microcentrifuges and centrifuges offered at Pipette.com. Check out our selection and special offers and promotions below. 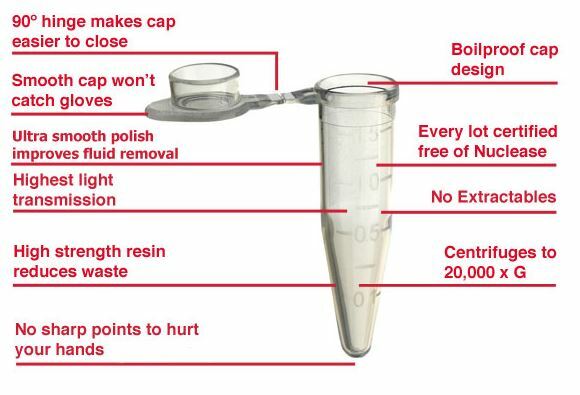 The microcentrifuge tube is available in a variety of designs and with a selection of features to meet specific laboratory requirements and different purposes depending on your needs. Different styles and features and better suited to different tasks and protocols. They vary in terms of volume, centrifugation limits, packaging style and quantity, color, etc. 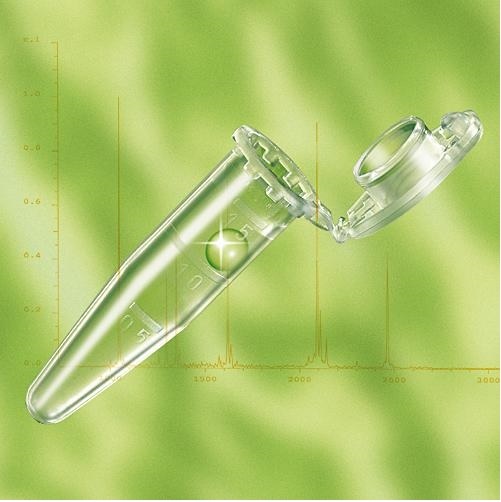 Pipette.com carries tubes from Eppendorf, Simport, SSI and Heathrow Scientific. 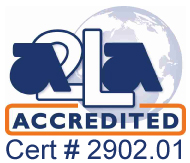 This allows us to provide you with a range of options to select the right tubes to meet your lab requirements – ranging from the most durable and high-quality tubes to more economic alternatives if you are on a tight budget. Tubes are available free from RNase, DNase and PCR inhibitors. Sterile tubes are also pyrogen free. Offered in a variety of different colors, you can color coordinate samples or experiements for easy identification or if you have light sensitive samples, even protect the sample from light by blocking out wavelengths. Please refer to each brand for the boil proof temperature and centrifugation rating. 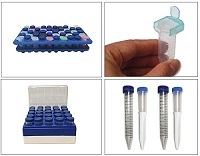 Are you looking for 0.1mL or 0.2mL PCR tubes too? 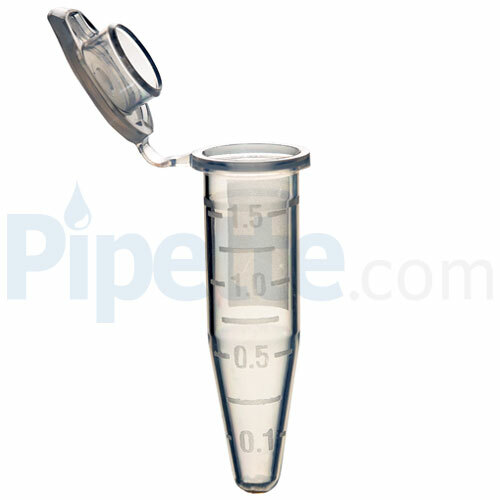 We also have a large variety of screw-cap tubes and culture tubes. Capp Expell Microcentrifuge Tubes provide stability for all of your centrifugation protocols and requirements. All Capp Expell Microcentrifuge Tubes are DNase, RNase, Pyrogen Free and withstand up to 20,000 x g.
SureSeal S tubes are manufactured under clean room conditions, using only BioClear™ co-polymer, an advanced polypropylene that maximizes clarity, centrifugal strength (tested up to 28,000xg) and the usable temperature range (-90°C to +121°C). 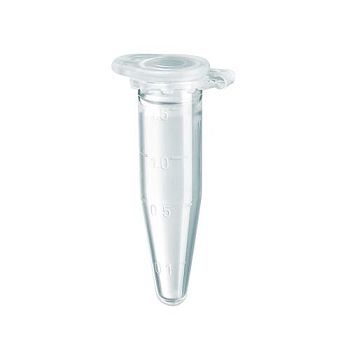 BrandTech 1.5mL Microcentrifuge Tubes are available in 6 different colors for easy identification. Our tubes are made of 100% virgin polypropylene. Economical tubes feature frosted writing areas, convenient snap-caps, and a syringe-pierceable cap. Maximum RCF is 17,000 x g. Natural color. Also available in assorted color packs consisting of red, green, yellow, blue, and orange tubes. 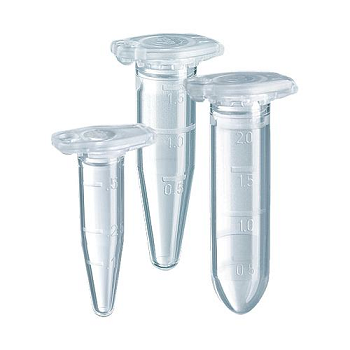 MTC-Bio 5mL Micocentrifuge Tubes are a simple and easy way to work with 1 to 5mL volumes. 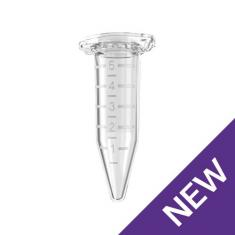 These 2mL microcentrifuge tubes offer a special locking clasp to produce a more secure closure. They are graduated at 0.5, 1.0 and 1.5mL. They are autoclavable to 121°C. Pierceable lid. Etched surface on side of tube for sample identification. High quality polypropylene microcentrifuge tube product options feature non-stick, volume, cap options, and can withstand up to 35,00 RCF. SuperClear™ tubes are made from an ultra-clear polypropylene resin that provides a clear view of the pellet as well as correct color rendition. 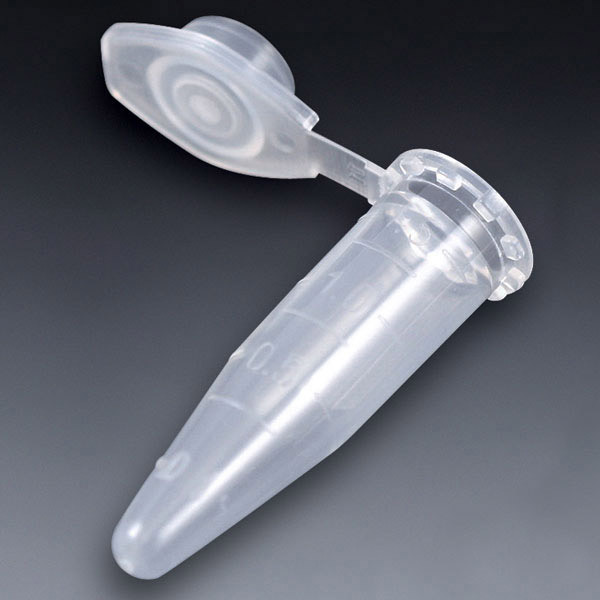 Globe Scientific has an extensive line of disposable microcentrifuge tubes that meet most laboratory applications and needs.